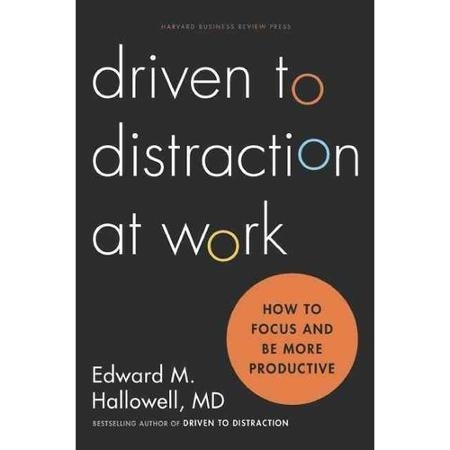 “Driven to Distraction at Work – How to Focus and Become More Productive” by Edward M. Hallowell (Harvard Business Review Press, $26). STRESS – at work we feel its pressure every day. The mix of overflowing inboxes, people dropping in, meetings, phone calls, voicemail and email adds up to a witch’s brew of distraction. The results: Attention deficit and declining productivity. Hallowell offers “Stop that; do this” advice to help minimize the daily distractions, and boost both mental sharpness and output. ▶ “Screen sucking – how to control your electronics so they don’t control you.” The more you use the phone, respond to email’s pings and search the web, the greater the likelihood you will surrender attention from your to-do list. To gauge this attention deficit, keep a log for a week of how much time you spend using technology. Look at the log to see what amount of electronic-related time was actually spent on your to-do list items. You’ll quickly identify wasted time. ▶ The fix: Reserve a 30-minute pocket in the morning and afternoon for screen time. This creates time for uninterrupted focus on tasks. When you need a break, don’t use your electronic device like a binky by playing some mindless games. Instead, read an article or talk with someone about an item on both of your to-do-lists. ▶ “Multitasking – how to say no when you have more to do than time to do it.” Playing Ping-Pong with tasks isn’t just inefficient; it’s ineffective. Switching back and forth between tasks requires refreshing your memory to reestablish focus. That’s time that could have been saved, not wasted. Additionally, complex tasks require concentration and switching increases the odds of overlooking critical information. The fix: Set priorities and follow through. Learn to say no to yourself and to others. When it comes to others, politely decline requests by saying, “I’m in the middle of something; may I get back to you in ….” The same tact can be taken when colleagues drop in. You’ll also learn how “Worrying,” “Playing the hero” can also lead to “Dropping the ball”. Hallowell’s message: Never confuse activity and progress. 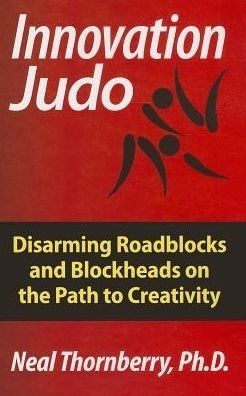 “Innovation Judo: Disarming Roadblocks and Blockheads on the Path to Creativity” by Neal Thornberry (Evolve Publishing, $19.95). Large businesses don’t start large. They start with an entrepreneur filled with original ideas (i.e. new, better, different, faster). As the business grows, it adds layers of employees, management, silos, procedures, red tape, congruent thinking – and, with respect to innovative ideas to spur growth, “corporate constipation”. No one challenges the status quo because they don’t believe anyone wants to listen. For those who want to get them to listen, Thornberry looks to the principles of judo [seiryoku zen’yō (maximum efficiency, minimum effort) and jita kyōei (mutual welfare and benefit)] and the concept of jū yoku gō o seisu (softness controls hardness)]. His seven principles start and end with “Preparation”. What does it mean to be prepared? Your idea may great to you but it may not look great to others. You have to flesh it out and find ways to sell its benefits (e.g. creates value for the firm and its customers, defensible, scalable, etc.) to others. There’s no “one size fits all” approach to selling it because others have different perspectives and hot/cold buttons. Part of your homework involves learning about how to frame your idea to the individuals whom you need to get onboard. That framing requires some semantic antics. Instead of saying you have an idea, open with “I believe there’s an opportunity for us to….” This shows the other two things: 1. You’ve done your homework; and, 2. You value and appreciate their input. The “Innovation Landscape Survey” in Appendix A and the “Opportunity Template” in Appendix B will help you craft your game plan.